Still enough berries around for this simple Summer cake. Sift and combine all dry ingredients together in a medium sized bowl. Add agave, coconut oil, vanilla extract and apple sauce to dry ingredients and mix with a metal spoon until completely combined. Add the lemon juice to the warm water. Stir lemon water mixture into batter until completely incorporated. Gently stir berries into batter. Bake for 25 minutes. Test with skewer to see if cake is baked. If skewer is clean when removed, cake is ready. 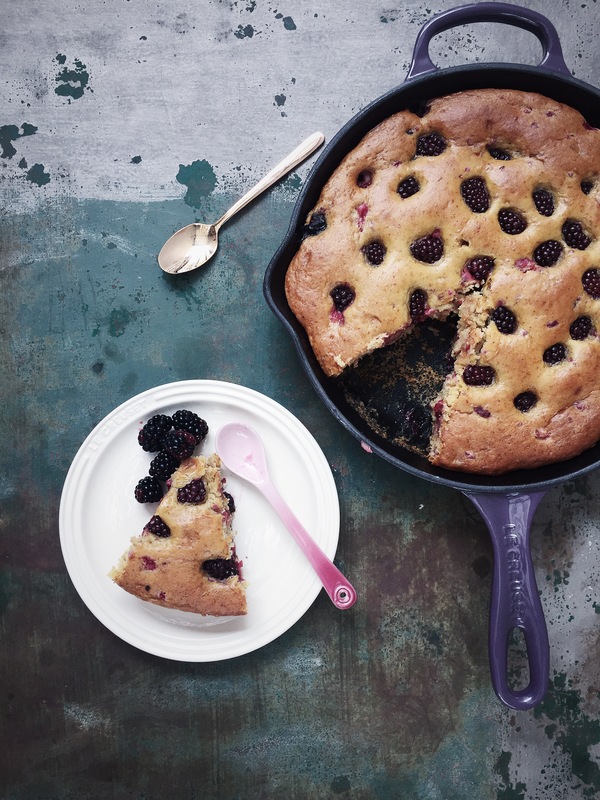 Serve warm, from skillet, with coconut cream or ice cream and extra berries.